With one councilmember absent, the seven member Stockton City Council voted 6-0 at their March 19th council meeting to seek a grant offered by Sonoma Clean Power in order to fund a technical study on Community Choice Energy for that city. Jim Parks of Valley Clean Energy delivered the main presentation and knocked it out of the park. “We’re mission driven and we deliver cost competitive clean electricity, consumer choice, price stability, local control, energy efficiency and greenhouse gas reductions.” He pointed out that since VCE is so new, less than a year old, it will take some time to build capacity to begin offering local programs. Jim Parks, Director of Customer Care & Marketing for Valley Clean Energy, addresses the Stockton City Council. 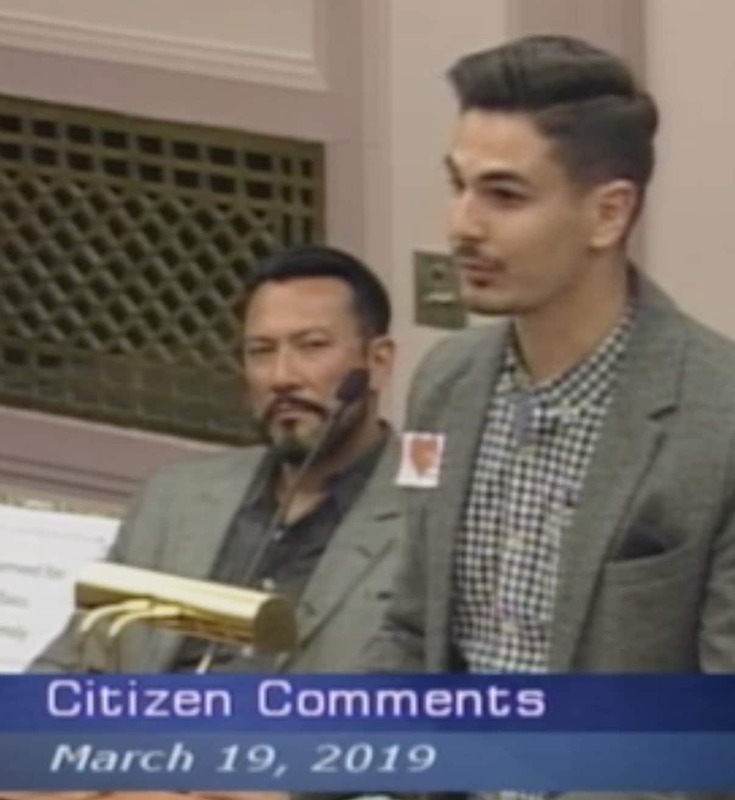 Key concerns and questions from all the council members revolved around risks to the city, whether the city should go it alone or join with the county or other cities in a joint powers authority, and uncertainty about the PG&E bankruptcy. Jonathan Pruitt of Catholic Charities addresses the City Council. “This is a way for our Stockton citizens to engage and utilize more clean energy,” stated Margo Praus, a leader in several Stockton-based organizations including the Citizens’ Climate Lobby and the Sierra Club. 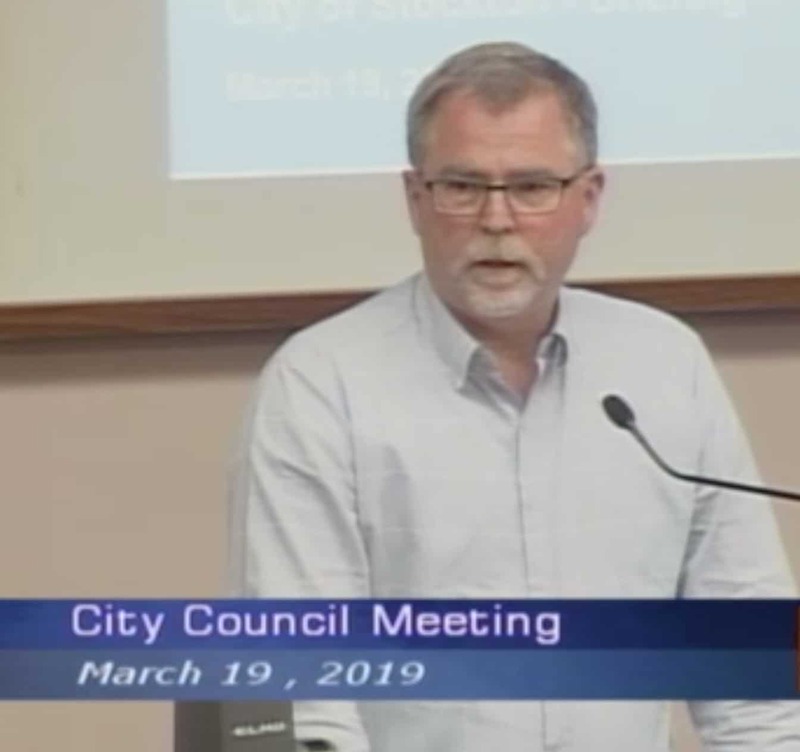 The video of the entire meeting agenda item is HERE and the Community Choice item begins at the 1:54:50 mark. Stay tuned to the Clean Power Exchange for more news and updates on the development of Stockton’s Community Choice Energy agency.